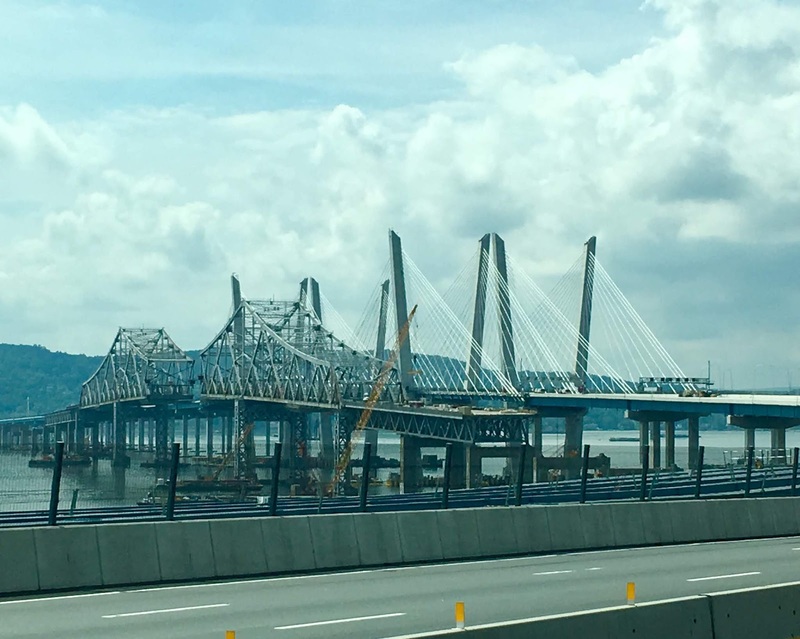 Today we crossed the new Tappan Zee Bridge. It's the second time we've been over the new bridge - the first time was at night - and I have to say, I'm still not really a fan. The old bridge holds a lot of memories for me. 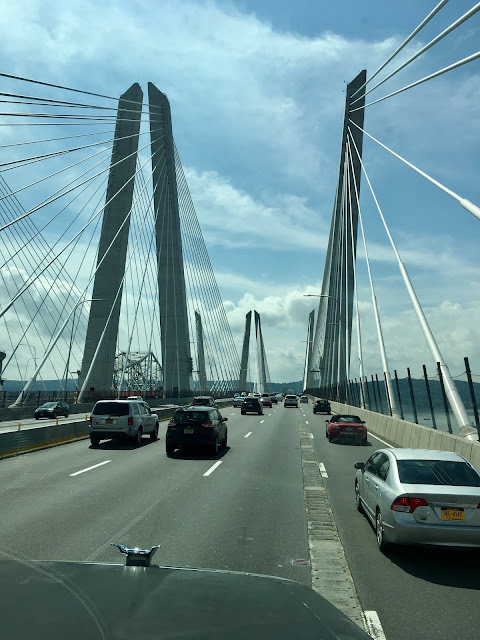 I crossed it many times in my childhood to go visit my grandparents in the Bronx, and when I started to drive myself, I always made trips to the city or to Westchester County to see my family. In addition, my grandfather was one of the NYC welders who worked on the original bridge. The photo below shows the old bridge on the left and the new bridge on the right. As I mentioned in an earlier post, I don't really love the design of the new bridge and will be a little sad when the old one becomes just a memory. I'm still figuring out how I can get a piece of steel from the old bridge. If anyone out there has any connections, hook a girl up! I too loved the old bridge. Before moving to Middletown/Goshen, we lived for 7 years in Nyack. It was a very different Nyack in those days with many neglected buildings and a race riot. Elke: I never knew you lived in Nyack. And I never knew it was a neglected town. So different today. My Poppy worked on that old bridge as you might know. Memories. I miss New York! !